The vulnerability of the European electricity sector to changes in water resources is set to worsen by 2030 as a consequence of climate change. This conclusion is reached by researchers at Leiden University in an article published in Nature Energy this month. Thermoelectric power stations—including coal, gas, and nuclear plants—use significant amounts of fresh water for cooling purposes. A large gas power station can use an Olympic-sized swimming pool of water per minute. If water is not available, or if it is too warm, power stations have to reduce electricity production, or cease production completely. In recent years, Europe has faced increasingly intense heatwaves and periods of drought, which has put pressure on electricity systems. If one power station ceases production, this can be compensated by increasing production from less vulnerable power station, or by energy produced from renewable sources. But in extended periods of drought this compensation mechanism is not enough, resulting in power disruptions and blackouts. Led by Dr. Paul Behrens, a team of Leiden University researchers analysed over 1,300 power stations, drawing water from 818 different water catchments. 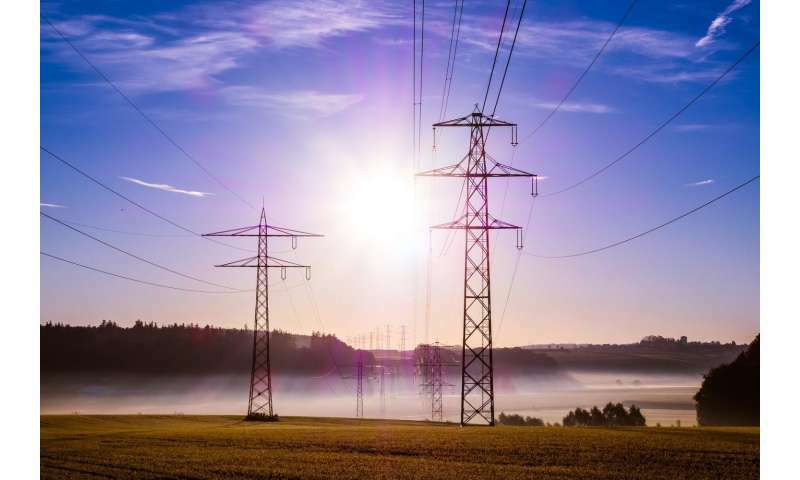 Their research showed that the number of regions with a vulnerable electricity network due to water availability will increase significantly by 2030. Furthermore, many new power stations are planned for construction next to bodies of water that are already under pressure. The research showed that the areas at future risk of shortages lie mainly in the Mediterranean region: Spain, Italy, Southern France, and Greece. However, areas along the Rhine in Germany, Bulgaria and Poland will also face increasing pressure on their electricity production. "There are ways to deal with these shortages," says Dr. Behrens. "Our research shows that cooling with sea water can significantly decrease problems on the Mediterranean coast. But it will cost more as investments are needed to equip plants for the use of saline water." If we want to reduce the use of cooling water throughout the EU, says Dr. Behrens, we will need to close old, inefficient power stations, and replace them with renewable sources, such as wind and solar energy. "This will help reduce the reliance of the electricity supply on water, and will also help us achieve our climate goals." Good thing we have alternatives to thermal powerplants from the last century. And with the price of storage plus PV or Wind at just over four cents/kWh of continuous 24-hour power, they cannot compete anyway. We will have our second EV this year, and may have to add some PV panels to the house.